mains a secondary goal only. Available treatment options include medical, radiation, and surgical therapies, which are typically delivered in a multidisciplin-ary fashion. Historically, intravenous corticosteroids in combination with external beam radiotherapy (EBRT) were the treatment of choice. Recent advances in spinal instrumentation and surgical techniques have led to a renewed interest in the use of surgery as primary therapy. Since there are no large-scale studies of urologic or PCa-related spinal cord compression, current guidelines are based upon the results of studies incorporating numerous tumor types. Although oncologic prognosis, presence of co-morbidities, and overall performance status are important, ambulatory status and spinal stability at presentation are the primary considerations when formulating a treatment plan. Numerous studies have demonstrated the prognostic significance of baseline ambulatory status with regard to treatment outcome. The majority of ambulatory patients can expect to remain ambulatory with early treatment, whereas only 50 % of nonambulatory patients, at best, can expect the same (Ok et al. 2005). Regardless of ambulatory status and spinal stability, corticosteroids are the first treatment administered in cases of suspected or confirmed spinal cord compression. Through a rapid reduction in vasogenic edema, corticosteroids decrease mechanical compression on the spinal cord until more definitive therapy can be provided. Additional steroid actions include pain relief, reduction in inflammation, and a direct oncolytic effect (Ok et al. 2005). Corticosteroids can be given in both high-dose and moderate-dose schedules (Table 13.4) (Manglani et al. 2000). The two dosing schedules appear to provide similar rates of neurologic and ambulatory preservation; however, high-dose cortico-steroids are associated with superior analgesia at the expense of a greater risk of steroid-related complications (gastroduodenal ulceration, psychosis, Pneumocystis carinii pneumonia) (Heimdal et al. 1992; Delattre et al. 1988). Since no randomized controlled trials have directly compared these two schedules, it is difficult to make firm recommendations for steroid dosing. To minimize the potential for steroid-related morbidity, it has been suggested that corticosteroid therapy begin with the moderate dose schedule. If neurologic improvement does not occur within 6-12 h, the highdose schedule can be implemented at that time (Mang-lani et al. 2000). Maintenance dosing is continued until the neurologic status remains stable for 48 h, after which steroids are tapered over 2-3 weeks. Androgen deprivation therapy maintains an important role in the treatment of metastatic spinal cord compression involving hormonally naive PCa. Unfortunately, most patients with PCa who develop spinal cord compression have exhausted hormonal therapy and are resistant to such therapy. Nevertheless, all PCa patients require an evaluation of serum PSA and testosterone to determine the level of androgen sensitivity that remains. Hormonally nai've cases demonstrate improved ambulatory rates (80 % vs 42 %) and overall survival (16 vs 6 months) relative to hormone-resistant cases when androgen deprivation is incorporated into the overall management plan (Iacovou et al. 1985; Flynn and Shipley 1991). 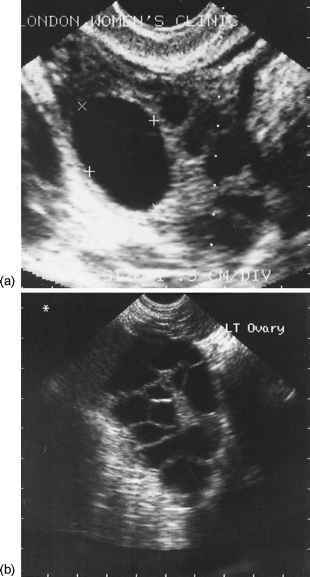 Methods available for hormonal therapy include both surgical (bilateral orchiectomy) and chemical (ketoconazole) castration. Orchiectomy and ketoconazole allow the most immediate reduction in serum testosterone levels. Ketoconazole, an oral synthetic imidazole antifungal agent, reduces gonadal and adrenal testosterone synthesis through the inhibition of cytochrome P450 enzyme-dependent 14-demethylation of lanosterol to cholesterol. At a dose of 400 mg three times daily, ketoconazole suppresses serum testosterone to castrate levels within 48 h (Trachtenberg 1984). Prostate cancer-related spinal cord compression with neurologic compromise is a relative contraindication to the use of luteinizing hormone-releasing hormone (LHRH) agonists. These agents induce a temporary rise in serum testosterone, termed the flare phenomenon, which begins within 2-3 days and lasts approximately 1 week from the initiation of therapy (Bubley 2001). Such a rise in serum testosterone may lead to symptomatic disease progression, which, in the context of documented spinal cord compression, can involve a further deterioration in neurologic function. 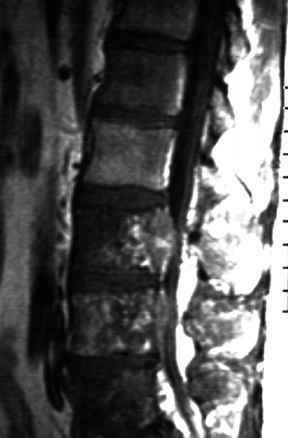 Patients in whom spinal cord compression is impending rather than proven maybe candidates for LHRH agonist therapy; however, pretreatment with a steroidal or nonsteroidal antiandrogen is recommended. Anti-androgen therapyis preferably begun 1 weekbefore the initiation of LHRH agonist treatment and continued for 1 month. Luteinizing hormone-releasing hormone antagonists, such as abarelix, represent an acceptable alternative to LHRH agonists since they rapidly achieve castrate serum testosterone levels (68%-78% within 7 days, 96 % within 1 month) and avoid the testosterone surge altogether (Trachtenberg et al. 2002; Koch et al. 2003). Abarelix has demonstrated safe and effective provision of medical castration in men with symptomatic PCa, including those with impending spinal cord compression (Koch et al. 2003). Ambulatory patients with spinal stability are usually managed nonoperatively. For this group, the gold standard treatment is corticosteroids in combination with EBRT. Radiotherapy is begun soon after the initiation of corticosteroids with dosages of 2,000 -4,000 cGy administered over a 2- to 4-week period (Manglani et al. 2000). For optimal results, the radiation portal includes a margin of one or two vertebral bodies above and below the site of compression (Quinn and DeAngelis 2000). Radiotherapy decreases cord compression through a reduction in tumor mass and bone turgor. Paradoxically, this may lead to weakening of the vertebral body and subsequent collapse; therefore, patients often require 6 -10 weeks of external bracing while bone healing takes place. Preservation of ambulation can be expected in 70 % -100 % of patients treated in this manner (Sundare-san et al. 1985; Maranzano and Latini 1995; Katagiri et al. 1998; Helweg-Larsen 1996; Tomita et al. 1983). Radiotherapy and corticosteroids together are more effective than EBRT alone with ambulatory rates of 81 % and 61 %, respectively, demonstrated in a randomized controlled trial (Sundaresan et al. 1985). Nonambulatory, nonparaplegic patients with stable spines are more difficult to manage. Significant motor deficit is a sign of severe and longstanding spinal cord compression and only a minority of treated patients can be expected to regain the ability to walk. Corticosteroids plus EBRT provide post-treatment ambulatory rates of 6 % - 60 % and likely favor the lower end of this spectrum (Maranzano and Latini 1995; Tomita et al. 1983; Turner et al. 1993; Sorensen et al. 1994; Leviov et al. 1993). Based on a clear inferiority to EBRT and a lack of proven benefit in combination with EBRT, surgery has not had a prominent role in this subgroup. However, this practice was based upon the results of decom-pressive laminectomy, a historical procedure with inferior outcomes. Although most vertebral metastases are located anterior to the spinal cord, laminectomy typically removes only posterior elements and does not remove the bulk of the compressive tumor. Furthermore, laminectomy may actually destabilize the spine, thereby worsening postoperative ambulatory rates. Over the past two decades, vertebrectomy and spinal stabilization have gained popularity based on the successful results of several nonrandomized studies (Siegel et al. 1982, 1985; Harrington 1984; Sundaresan et al. 1984; Overby and Rothman 1985; Klimo et al. 2005). This procedure, which takes an anterior approach, seeks to decompress the spinal cord through the resection of all gross disease. Concurrent spinal instrumentation provides immediate spinal stabilization even in cases of near-total vertebral body excision. Spinal instability or vertebral body collapse Nonambulatory patients who fail to respond to radiotherapy Progressive neurologic deterioration during radiotherapy Bone extending into spinal canal causing thecal compression Radiculopathy with progressive or uncontrolled symptoms Spinal cord compression in a previously irradiated area Paraplegic or severely paraparetic patients with recent neurologic deterioration a panacea. Commonly accepted indications for surgical decompression are outlined in Table 13.5 (Baehring 2005).